American technology satellite. 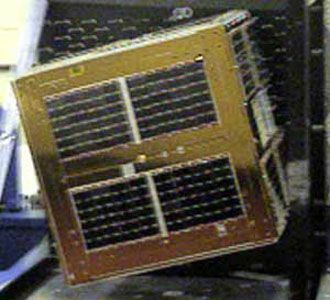 The JAWSAT/FalconSat payloads were developed as a joint effort between the Air Force Academy and Weber State University. Status: Operational 2000. First Launch: 2000-01-27. Last Launch: 2010-11-20. Number: 4 . FalconSat 1 Experimental satellite for U.S. Air Force Academy, USA. Launched 2000. FalconSat 2 Experimental satellite for U.S. Air Force Academy, USA. Launched 2006. FalconSat 3 Experimental satellite built by U.S. Air Force Academy, SpaceQuest (bus) for U.S. Air Force Academy, USA. Launched 2007. 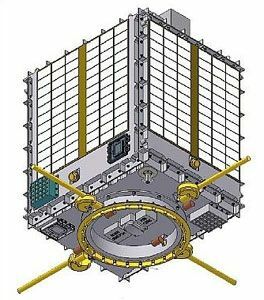 FalconSat 5 Experimental satellite built by U.S. Air Force Academy, SpaceQuest (bus) for U.S. Air Force Academy, USA. Launched 2010. 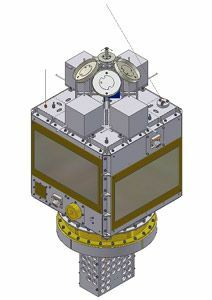 FalconSat 6 Experimental satellite for U.S. Air Force Academy, USA. Family: MX, Technology, Technology satellite. Country: USA. Launch Vehicles: Minuteman, Minotaur 1, Atlas V, Atlas V 401, Falcon 1, Minotaur IV. Launch Sites: Cape Canaveral, Vandenberg, Kwajalein, Cape Canaveral LC41, Vandenberg SLC8, Kwajalein OM. Agency: Weber, USAFA. Bibliography: 426, 6493, 12378. 2006 March 24 - . Launch Site: Kwajalein. Launch Complex: Kwajalein OM. LV Family: Falcon. Launch Vehicle: Falcon 1. FAILURE: Fuel leak at T+25 seconds caused a fire in the first stage engine area. Failed Stage: 1. 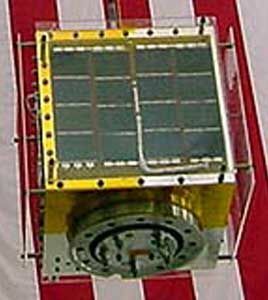 Falconsat-2 - . Mass: 20 kg (44 lb). Nation: USA. Agency: USAF Colorado Springs. Manufacturer: USAFA. Class: Technology. Type: Navigation technology satellite. Spacecraft: Falconsat. The satellite fell through the roof of SpaceX's machine shop on the atoll..
USA 221 - . 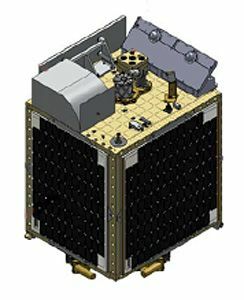 Payload: Falconsat-5. Mass: 161 kg (354 lb). Nation: USA. Class: Technology. Type: Technology satellite. Spacecraft: Falconsat. USAF Sat Cat: 37226 . COSPAR: 2010-062E. US Air Force Academy satellite with experiments to study plasma and the ionosphere..